2016 will see a series of events across Liverpool to remember the Liverpool Irish women and men who fought in the Dublin 1916 Easter Rising. 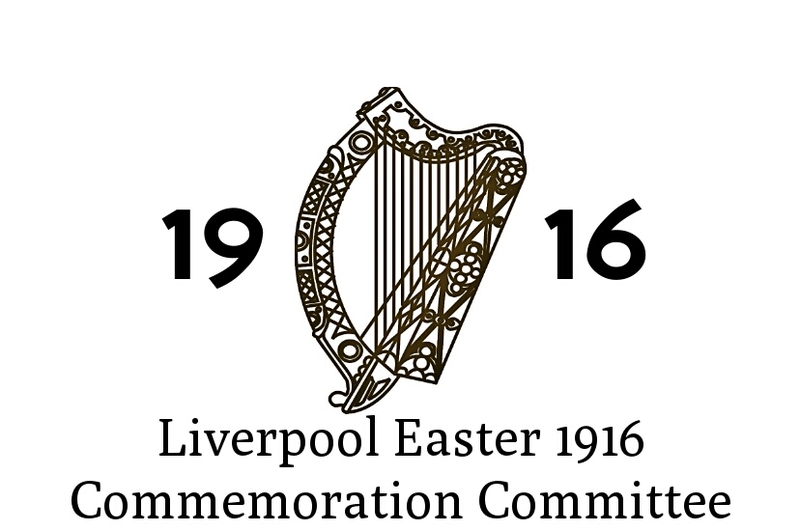 A partnership of individuals and organisations have been working on the planning of these events since 2014 under the auspices of the Liverpool Easter 1916 Commemoration Committee. The Committee has been working in partnership with St Michaels Irish Centre, the Institute of Irish Studies University of Liverpool, the Embassy of Ireland, Liverpool Museums, St Anthony’s Roman Catholic Church, Comhaltas Ceoltoiri Eireann and others to ensure this unique aspect of Liverpool and Irish history is respectfully remembered during the coming centenary year. 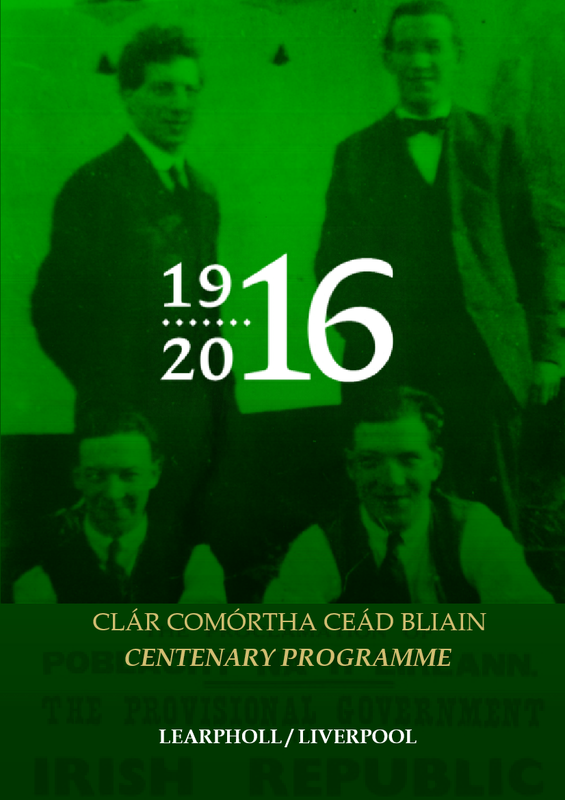 Please click on the 1916 Programme for an initial preview of some of our events with more events to be added into our printed souvenir programme to be published during February 2016. 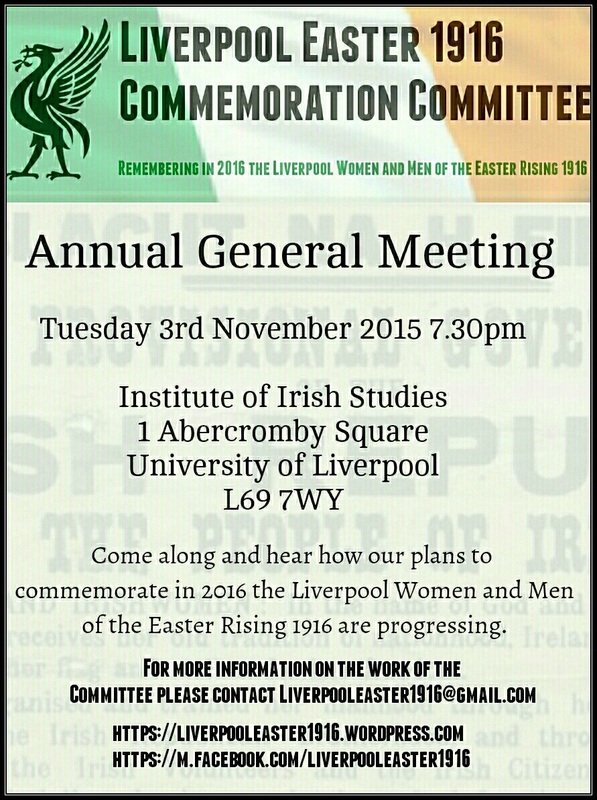 The Committee will hold its Annual General Meeting on Tuesday 3rd November 2015 7.30pm at The Institute of Irish Studies, 1 Abercromby Square, University Of Liverpool. 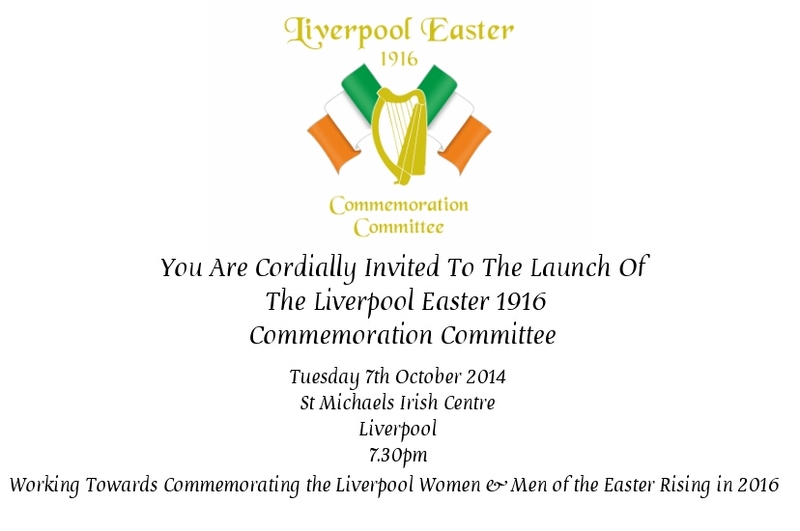 This is an open invitation to come along and find out more about the work of the Committee and how it plans to commemorate in 2016 the Liverpool Women and Men of the Easter Rising 1916. 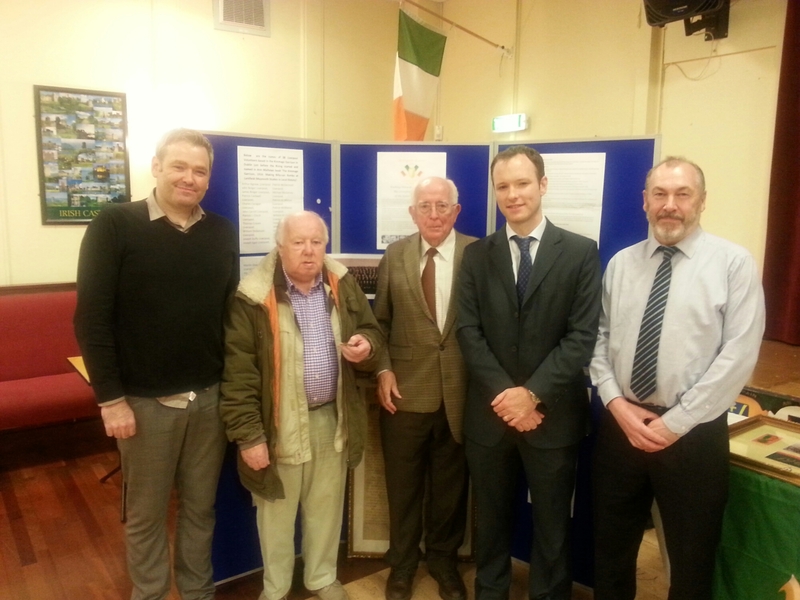 The Liverpool Easter 1916 Commemoration Committee was delighted to officially launch its campaign to celebrate the men and women of Liverpool who took part in the 1916 Easter Rising at St. Michael’s Irish Centre Liverpool (Tuesday 7th October 2014). The night was well attended by representatives from across the spectrum of the Liverpool Irish Community and by John Lynam from the Embassy of Ireland in London. The ceremony was opened by Dr. Kevin McNamara, Chairman of the committee who welcomed the guests and spoke of the significant contribution that Liverpool as a city had made to the formation of the modern state of Ireland, sending two battalions of men to defend the General Post Office in 1916. The Cumman na mBan group from Liverpool had the distinction of being the only unit that went as a unit to serve in Easter week. He went on to stress that this ‘commemoration will be a community commemoration to educate the young’ and to help us all understand the historical forces at play during this key period in Irish and British History. 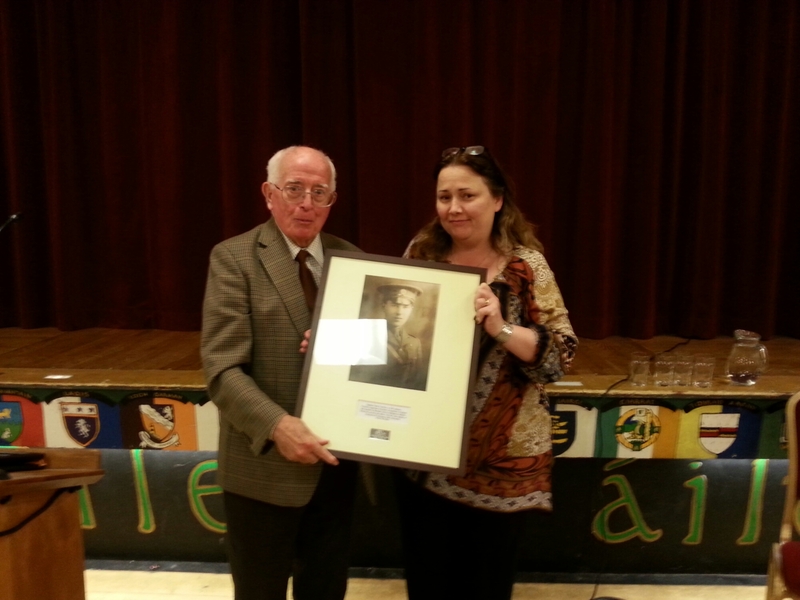 Dr McNamara then invited Dr Kevin Bean from the University of Liverpool’s Institute of Irish Studies to speak. 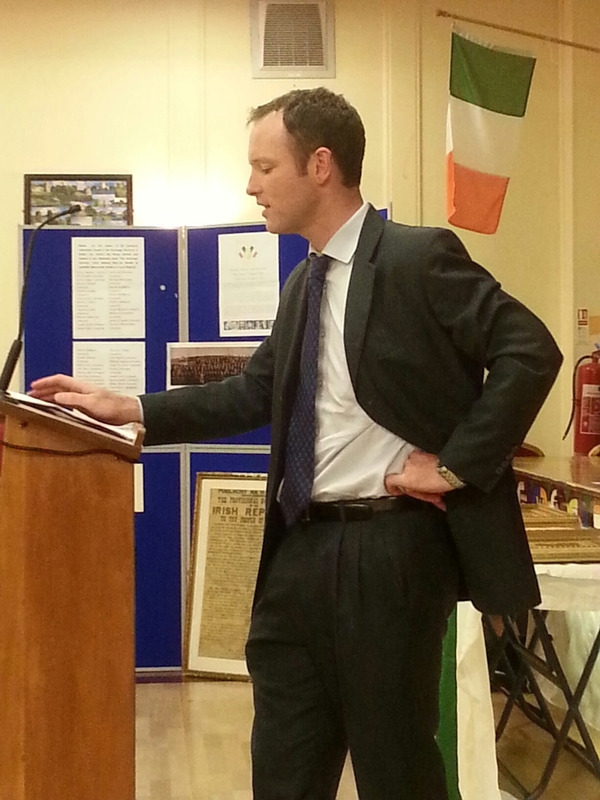 Dr Bean suggested that ‘during the decade of commemoration 1912-1923 the events that define modern Irish history take place, from the signing of the Ulster League and Covenant, through 1916, Partition, and Civil War’. He also suggested that within this generation this seminal event had passed from ‘second-hand information into true history, with the death of the volunteers’. 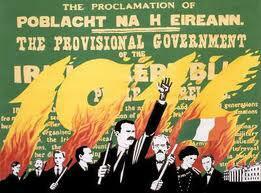 He wished to ‘locate Ireland in this period in its wider context. It was exceptional, but also had many similarities with other small countries across the globe’. For this generation it was important that ‘we understand the motives of those from Liverpool who took part in Easter 1916 and important that we engage with historical truth’, this way he argued ‘we will see a flowering of historical understanding. Particularly in this city which has kept these stories submerged’. Dr Bean was followed by John Lynham from the Embassy of Ireland in London who was on his first visit to Liverpool. He was delighted to ‘try to share what the Irish Government is trying to do in this decade, including its programme of events, http://www.decadeofcentenaries.com’. He had ‘reviewed the committee’s plans of 1916 and had been very impressed by their ambition’ and he revealed the Irish Government had ‘funds for those looking to promote tolerance and respect’ and he would ‘be happy sit down with the Liverpool committee to see how they could access those funds’. 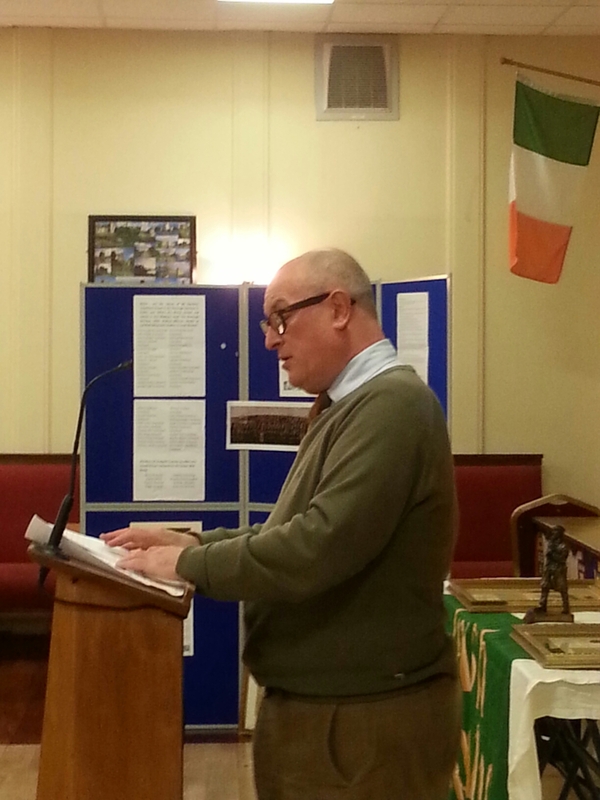 The ceremony was closed with a presentation on behalf of the committee of a picture of one of the commanders of the Liverpool brigade Frank Thornton to St. Michael’s Irish Centre, before the Secretary Neil Doolin spoke on the nature of the project and ways in which it would seek to celebrate Liverpool’s contribution to Easter 1916: ‘we are looking for relatives, pictures, names and stories of those who took part and for those who know to come forward and add to the already substantial research that has been undertaken’. He also proposed that the committee produce a music/drama project, utilising the talent of local musicians, dancers and writers from Liverpool, and that it puts a series of lectures and learning materials to help with Schools’ projects surrounding the history of World War One. The idea for this undertaking was ‘to have a publication for the men and women of Liverpool involved in Easter 1916, in order to leave a legacy for the Liverpool Irish and the wider British community.’ The committee has ‘set up a lifetime membership for £20, or £10 for the unwaged and is looking for subscriptions in order to erect a monument for the men and women of Liverpool for future generations’. The night ended with contributions from the floor from those whose own family members had taken part in Easter 1916 and a review of an exhibition of artefacts from Easter week.